Amanda Holden is a musician, lyricist and translator – the only librettist to have received the Olivier Award for Outstanding Achievement in Opera (2001) – as well as the only translator to receive a nomination (2012). She has written more than 60 English texts for stage and concert performance; the majority of them are opera translations. 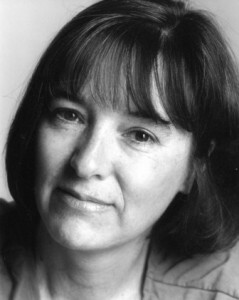 Amanda is also the founder editor of the Penguin Opera Guides – encyclopaedic reference books detailing the lives and works of c.900 opera composers. 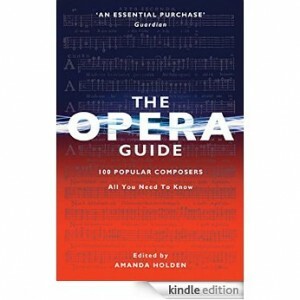 The Opera Guide – 100 Popular Composers was published in december 2015 and is available as an eBook on Amazon Kindle. Buy the 2017 edition for £4.99 by clicking the image. 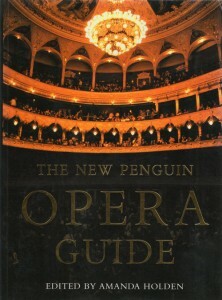 This is a complete revision of the old Penguin Concise Guide to Opera with a lively Foreword by international opera director, David Pountney. It covers all the world’s most popular opera composers – 18 of them living – and over 250 of their works in detail; it is the most up-to-date opera guide available. The copyright in Amanda’s work is either owned by her or by their relevant publisher; it is illegal to perform any of them (in whole or in part) without prior permission. For all enquiries, commissions and permissions please use the contact tab.